This talk will explore socially good ways of combining public transportation and the automobile in different types of cities. Macroscopic models of urban traffic and public transportation will be described and then combined to see how these two modes should best share the existing urban street space. On the automobile side, it will be shown that operating networks in severe congestion is more damaging than previously thought. It will also be shown that it is possible to predict the rate at which a well managed network should serve trips and that this rate is related to the number of street lane-kilometers that are made available to the automobile. On the transit side it will be shown that one can also predict both, the street lane-kilometers and the user/agency/social costs of optimally operating transit. In the combined model the two modes share space. The single-mode models will be used to show when and by what mode each person should travel for a combined system optimum, and how the two transportation systems should be deployed and operated. In this system optimum, congestion does not exist. It will be shown that if individual travelers are allowed to choose, both, the time at which to travel and the travel mode, and if in addition the traffic network is well managed, then the system optimum is achieved if tolls and fares are set in a special time-dependent way. The bi-modal system optimum configuration and the optimum modal split depend mostly on: (i) the city’s total demand, (ii) the availability of street space; and (iii) the citizen’s wealth. It is found that that for any given amount of street space and any given wealth, the percentage of trips that should be served by transit increases gradually with travel demand until a critical level is reached. At that point there is an abrupt change so that for greater demands it is best for everyone if automobile travel is completely banned (or strongly restricted). We also found that this critical level is lower when street space is scarce. Carlos F. Daganzo is a Chancellor’s Professor of the Graduate School in civil and environmental engineering at the University of California, Berkeley, and Director of U. C. Berkeley’s Center of Excellence for Future Urban Transport. 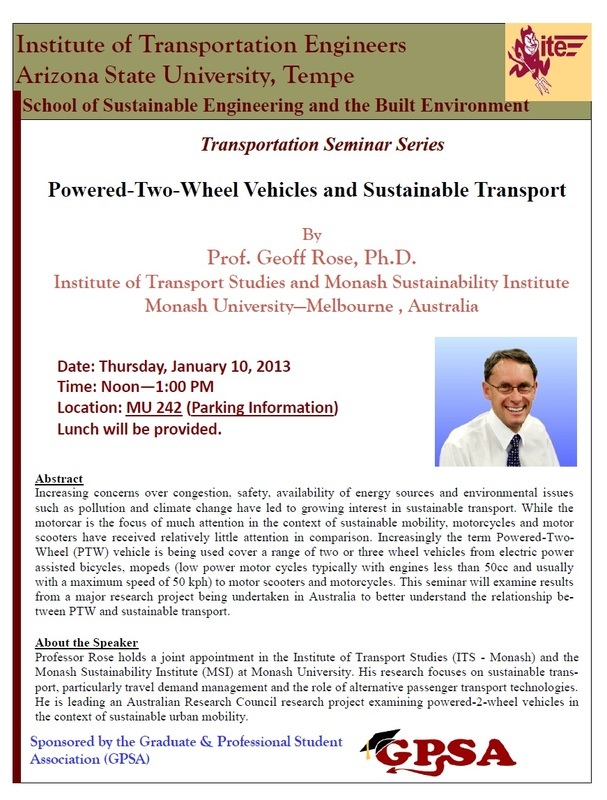 He has served as Convenor of the oldest international symposium on transportation and traffic theory (the ISTTT) and as an Associate Editor of Transportation Research (Part B, methodological) and Transportation Science. Daganzo's former students hold faculty positions at top ranked schools of engineering, business and management all over the world. 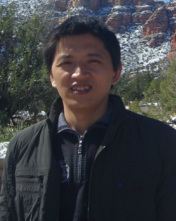 Noted for his contributions to econometrics, logistics, freight operations, network theory, traffic flow, and transit operations, Daganzo has authored five books, "Multinomial Probit: The Theory and its Application to Demand Forecasting" (Academic Press, 1979), "Logistics Systems Analysis" (1st, 2nd and 3rd and 4th eds, Springer, 1991, 1996, 1999, 2005), "Fundamentals of Transportation and Traffic Operations" (Pergamon-Elsevier, 1997), “A Theory of Supply Chains” (Springer, 2003) and “Public Transportation Systems: Basic Principles of System Design, Operations Planning and Traffic Control” (published online, 2010). The latter contains the blueprint for Barcelona’s new high-performance bus system, which Daganzo co-designed. The Universitat Politecnica de Catalunya, Barcelona, Spain, bestowed on him an honorary doctorate, partly in recognition for this work. The ISTTT Symposium of 2011 was dedicated to him in recognition of his cumulative contributions to transportation science. GREAT FOOD AND DRINKS WILL BE PROVIDED! Ms. Petya Maneva is the GIS expert for the 12 person team of transportation modelers at the Maricopa Association of Governments (MAG). She joined MAG in 2006 doing socio-economic projections and a year later transitioned to the system analysis group where she has been actively involved in travel demand modeling. Her main responsibility right now is data support for the activity based travel demand model. 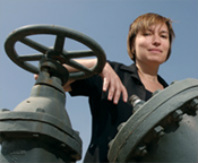 Ms. Maneva holds a Master’s degree in GIS from the University of Redlands and a Bachelors degree in Electronic Engineering from the Technical University of Sofia, Bulgaria. 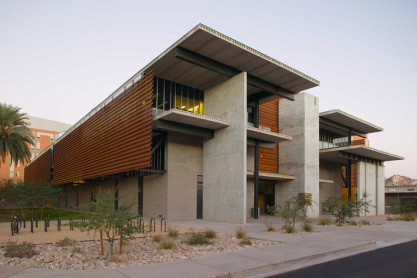 Any ASU students who would like to attend selected technical sessions (not eligible for Lunch and Reception) of the conference at no charge, please fill out a contact form here to make the appropriate arrangements. Mindy graduated from the U.S. Military Academy at West Point in 1996 with a B.S. in Environmental Science. She is an officer in the United States Army, and has served as a Human Resources manager (1996-2003) and a Space Operations officer (2008-present). In 2005 she earned an M.S. 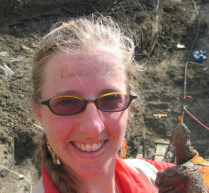 in Geology from California State University East Bay, and went on to teach environmental science, physical geography, and geology at West Point (2005-2008). Her Army career has taken her to New York, Bosnia, South Korea, Georgia, California, Texas, Iraq, and Washington, D.C. After Mindy completes her PhD program in Sustainability, she will return to West Point for a 3-year assignment teaching environmental science, geology, and ecology. She has been selected for promotion to the rank of Lieutenant Colonel, and will likely receive the promotion in the spring of 2013. Phoenix, Arizona is the fifth largest city in the United States, with more than four million people living in a region with few local resources, few public transportation alternatives, and high energy footprints. Regional transportation planners and city and state officials must balance sustainability goals with ever-increasing budget shortfalls (gaps between revenues available for transportation and the costs of operating and maintaining the existing transportation infrastructure). For any new transportation infrastructure to be implemented, particularly one that is an alternative to the automobile, it must overcome prior investment and commitment towards existing systems. The historic fiscal costs and life-cycle environmental effects are indicators that characterize levels of auto-infrastructure path dependence and can be compared to alternative scenarios to reveal transition strategies for a more sustainable system. 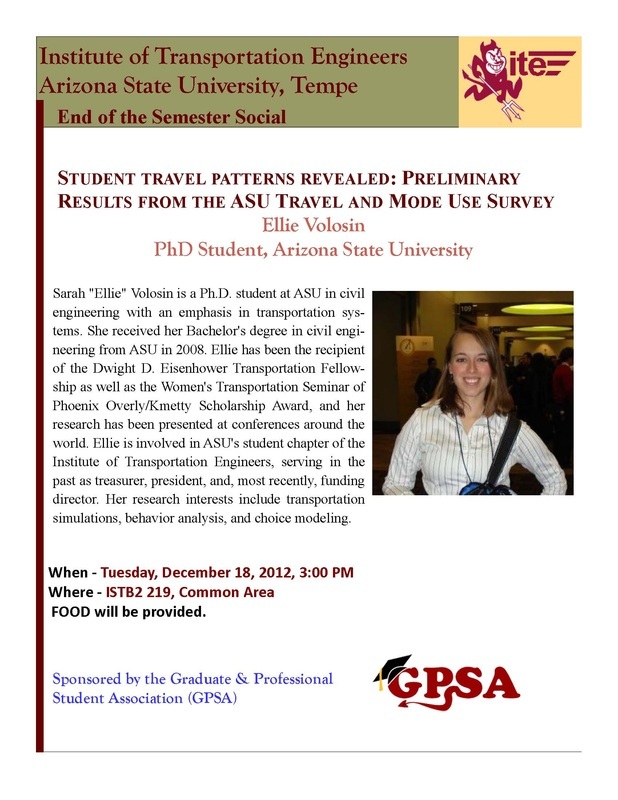 The proposed research will analyze the social institutions that influence Phoenix’s passenger transportation infrastructure system; apply a life-cycle assessment framework to inventory the historic fiscal and environmental effects from 1950-2010 (roadway construction, operation, and maintenance, vehicle manufacturing, vehicle tailpipe emissions, and up-stream electricity generation, raw material extraction, and oil extraction and refining); bound future scenarios according to “business as usual” and optimistic sustainability transitions; and test two alternative strategy case studies against the future scenarios. 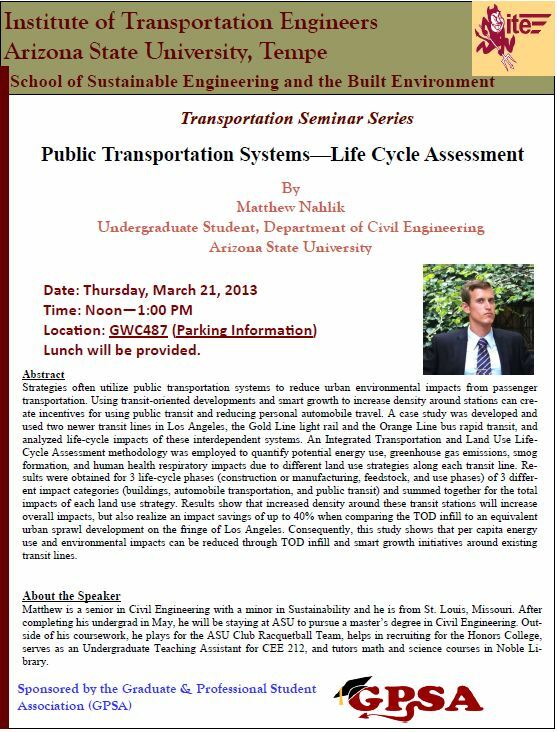 The expected results will be a historic life-cycle assessment of passenger transportation infrastructure and detailed recommendations for transition strategies that match potential life-cycle improvements directly with the process or decision-maker possessing the capacity to break the path dependence. The contribution of this study is in joining traditional life-cycle assessment techniques with social context frameworks so that the results might actually be translated into real transitions for improving sustainability problems. Please RSVP by sending an email to ite-asu@googlegroups.com by 5:00pm, 8 October 2012. Asphalt concrete pavements represent approximately 90% of the paved roadways in the United States and more than 99% of paved roads worldwide. Over the past 20 years, increases in traffic demand on this infrastructure have outpaced supply by a factor of six or more in the United States. Additionally, market forces have placed budgetary limitations on highway agencies as well as reduced the availability of the raw materials necessary to produce more highway lane mileage. Pavement engineers today are also faced with a public that is expecting solutions to these problems that do not hinder the society’s ability to meet its future needs. The public also wants solutions that reduce energy consumption and environmental impact, maximize limited material resources, and increase societal productivity. 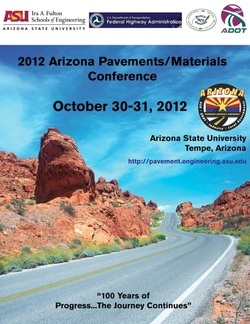 In short, the public is demanding pavement engineers find sustainable pavement solutions. Strategies to meet these demands may include improvements in operations/maintenance, fundamental changes to design paradigms, development of new materials, and the multipurpose use of pavement facilities. In each of these strategies a founding requirement for accurate deployment is a fundamental understanding of asphalt concrete behavior. 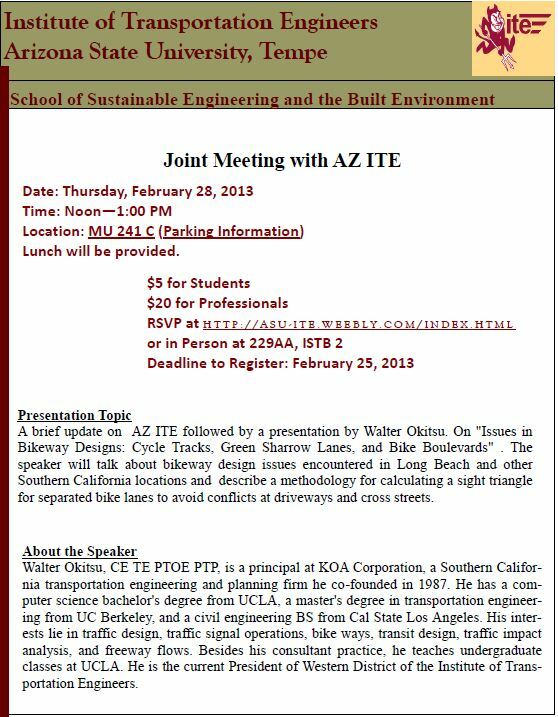 This seminar will focus on the topic of constitutive modeling of asphalt concrete and asphalt concrete pavements with a particular focus on the development and use of multiscale strategies. Asphalt concrete is a multiphase heterogeneous composite consisting of rigid particle inclusions bonded to and suspended in a viscoelastic matrix. The current state of the art in asphalt concrete technology involves applying mechanistic principles to asphalt concrete samples on a length scale of the order of the centimeter (e.g., at the macroscale). In these applications it must be assumed that the material exists as a homogeneous medium, a simplification that has allowed for many advances in the area of material and pavement modeling. However, emerging evidence suggests that these methods are fundamentally limited in their ability to describe the underlying causes of many observed performance behaviors in the material such as fatigue and permanent deformation. These limitations can be ultimately traced back to the length of scale that must be used to successfully apply the chosen mechanistic models to the material. Multiscale evaluations attempt to overcome this limitation by adopting a material paradigm that views asphalt concrete behaviors as a consequence of the assembly of multiple length scales within the body. 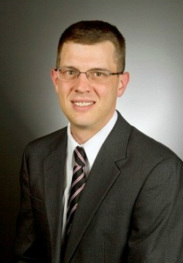 Dr. Underwood will discuss one such multiscale modeling approach and how this new paradigm is driving new and exciting research in the asphalt technology community. Brief introduction of taxi industry in Chinese urban areas and concept of perception service quality will be presented as a preparation. Then you will know those troublesome problems of taxi service that most Chinese regulatory authorities are facing. With data of a taxi service survey conducted in Hangzhou, China, three parts of works will be showed to you. At first, the result of comparison between SERVQUAL and SERVPERF model will tell you which measurement is better for taxi service. Second, gaps analysis of taxi service quality evaluation among regulator, manager, driver and passenger will let you know whose perception is consistent with that of passenger more. Third, an important-performance analysis can find out several important attributes logically to improve the taxi service quality at the position of Chinese taxi passenger. It's that time of year again, so read up on the student chapter officer candidates and get ready to vote! 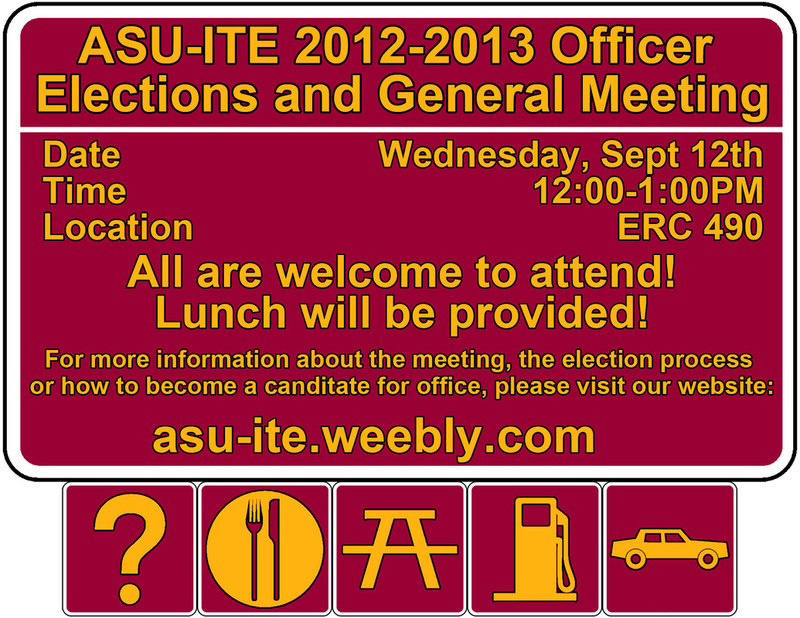 In this meeting we will be discussing what ITE is all about and possible future events, as well as conducting ASU-ITE new officer elections! 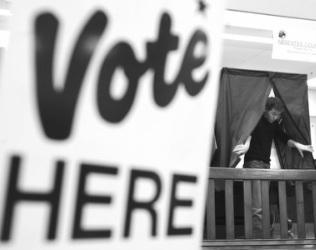 More information about the election process and how YOU can become a candidate for office will be coming soon. Plates, napkins, forks and knives will be provided, but the food will depend on each of us! 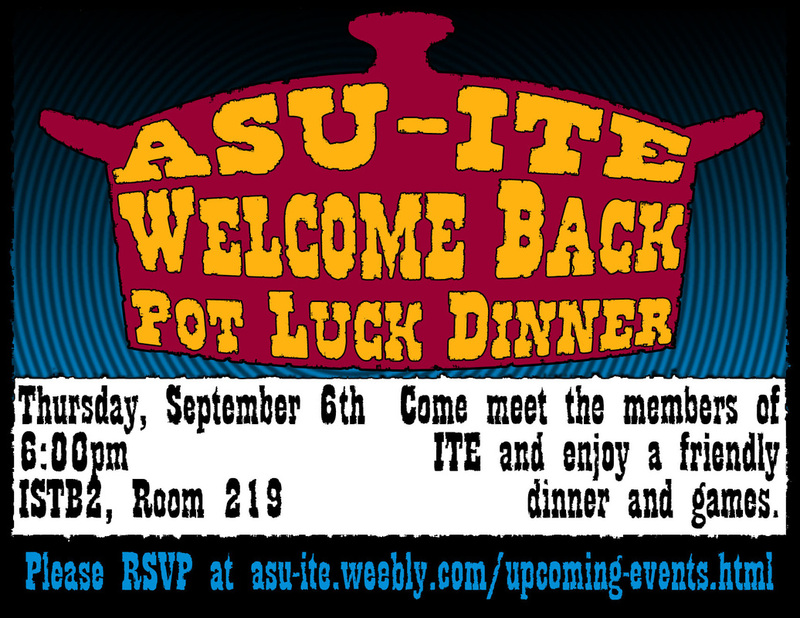 We are exited to announce the ASU-ITE Welcome Back pot luck dinner. Please come to enjoy food, games and a grand old time. Since this is a pot luck dinner we would appreciate it if you could bring some food to share (which could be as easy as picking up a box of cookies at the store). Come get to know ASU-ITE members and officers as we eat and play games. We will be discussing our upcoming events and new officer elections. If you would like to attend please fill out the RSVP form so that we can get an idea of how many people to expect and the amount and types of food everyone is planning to bring.